Monty thought Vincent Van Grot resembled a rabbit with a headlight fixation. ‘Me?’ Maybe a mouse would be nearer the mark given the soprano-esque delivery. ‘Yes, Vinny, you. It’s your probl… proposal.’ He essayed a smile but it really didn’t suit his face. The other members of the Highways and Bye-ways (Special Task Force) Planning And Financing Committee nodded, apart from one. ‘Point of order Madam Chair?’ Marigold Twinbobbles launched her right arm in what, to Monty, faintly resembled an inappropriate salute. ‘What’s your point, Marigold?’ Monty didn’t try and hide the effort it was to continue the debate. ‘Me?’ Vincent had the look of someone who thought he had dodged the teacher’s question only to realise he’d merely postponed the horror. ‘Did you?’ Monty knew he really shouldn’t ask. He put in a new canister. Somehow he knew that was a good move. Prudent. Marigold glared at Monty, then Vinny. ‘Perhaps they think they you can’t have a full body treatment at a Well and Mindfulness centre if their heads and bodies are separated. Maybe they’re going there. Marigold and Vinny turned to where Monty sat, their attention drawn by a sharp pop. Montgomery Blush’s complexion had changed to a darker hue, his hands flapping at his throat. He appeared to have swallowed his inhaler. Vinny leapt into action and performed some clumsy but effective first aid. 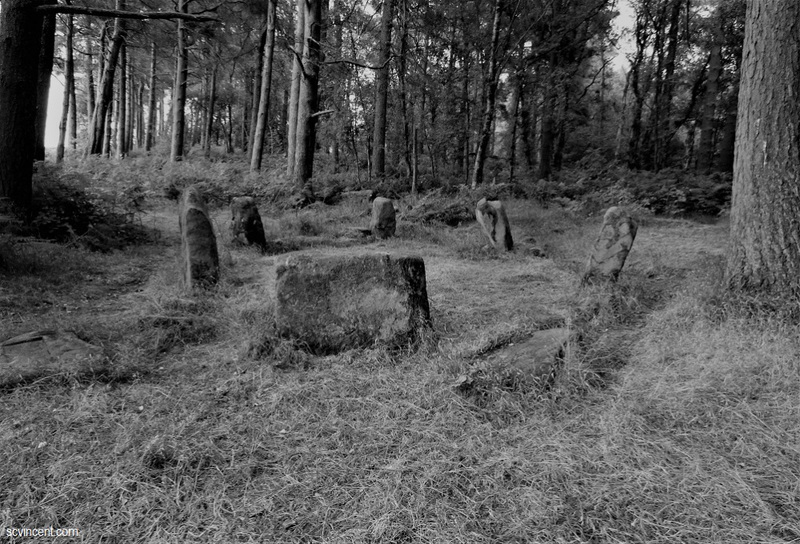 This entry was posted in #writephoto, creative writing, flash fiction, miscellany and tagged #writephoto, flash fiction, stone circle. Bookmark the permalink. I get the feeling you based a lot of the action on committees meetings you’ve attended which you perhaps hoped when veer into absurdity and headless corpses! I’ve certainly attended enough to know the feeling! Apparently, the tulips in your garden do not merely tiptoe.